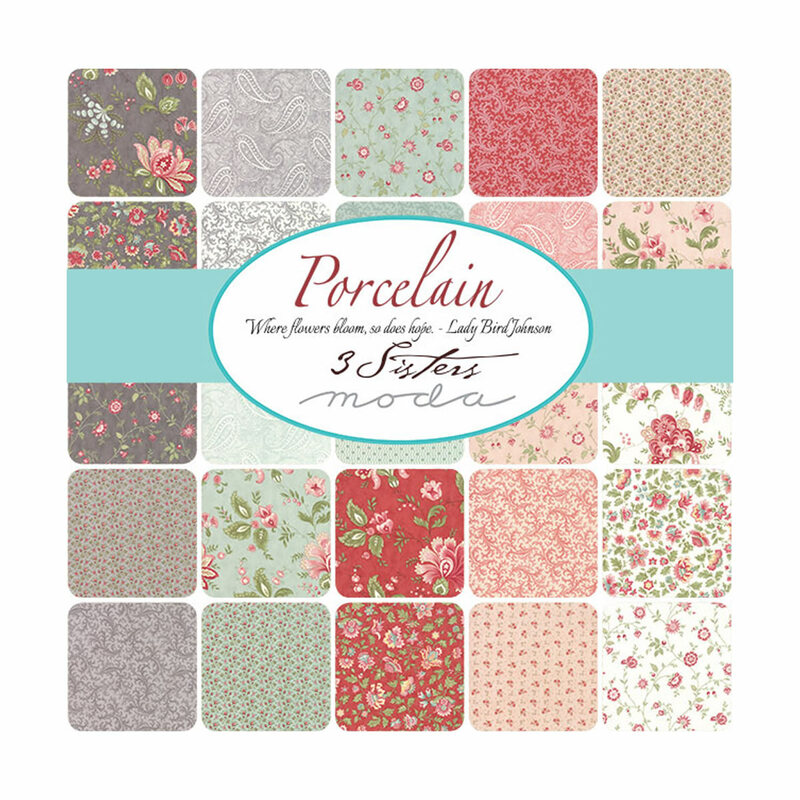 This layer cake is from the Porcelain range by 3 Sisters for Moda. It contains 42 layers of fabric each measuring 10 inches by 10 inches. That's the same as four charm packs! Sometimes Moda repeats a few fabrics, but I have noticed there are at least 38 different fabrics in each layer cake. For fabric swatches and design ideas, download Moda's brochure here. Want your layer cake die-cut for you? Click here for more info.